Armello is an excellent fantasy board/card game that’s been on Steam since 2015. With (Fahey-approved) DLC and console versions recently released, developer League of Geeks made a curious announcement: the game’s DRM-free, non-Steam PC version won’t be receiving DLC. It’s an odd explanation, given that plenty of other GOG games have DLC and receive regular updates. What exactly does “no way” even mean? Maybe LoG just doesn’t have the necessary manpower to handle it all, especially now that console versions of the cartoon-animal-tastic fantasy game are in the wild. If so, though, they could’ve just said that. 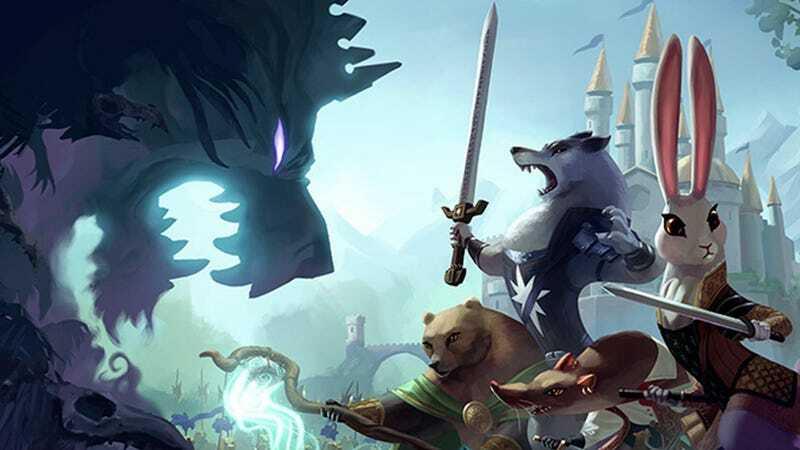 The news comes as a blow to a portion of the Armello community that’s already had to put up with late updates and sub-optimal service. It sounds like owners of the newly re-branded DRM Free Edition will receive something in the future, but it probably won’t be on level with the goodies everybody else is getting. It strikes me as a bit insulting, honestly. They’re basically saying, “Yeah, you guys aren’t gonna get the treatment you expected when you first bought the game, but look, now your version has a cool new name! Ooooo, shiny.” Nowhere on the game’s GOG page, meanwhile, does LoG mention that this version won’t receive DLC or maintain parity with the Steam version—which is no longer something they’re even trying to do. Sorry, but a name change that sounds like a positive thing isn’t enough of a heads-up to prospective buyers. I hope other developers don’t take this tact with DRM-free versions of PC games. No, this version doesn’t have copy protection, but I don’t love the implicit message that it’s totally reasonable to treat a DRM-free version of a game as the lowest possible priority. Armello’s a good game, but not a great example to follow.